I live in the Yorkshire Dales and love to be outside exploring and photographing the less well trodden areas of the north. When I’m not photographing I work on websites and graphic design. 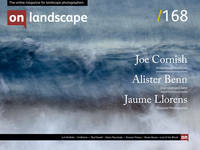 I have recently started printing and exhibiting my landscape work which has been really enjoyable and I’m looking for further opportunities to continue. Living in the beautiful Yorkshire Dales, a large part of what I shoot could be considered quite traditional landscape photography. When it comes to my favourite images of other photographers though and the works I find most awe inspiring my tastes are a little more eclectic. I find I am often drawn to images that have a cinematic quality, either in the tone or lighting, with atmospherics or the epic nature of the visual. But above all, what I think captures me is the narrative. Although I am drawn to a cinematic feel, I love the still image as it allows the viewer the freedom to create their own story from what is in the scene. An image I believe demonstrates many of these qualities and a favourite of mine is ‘Chongqing XI, Chongqing Municipality’ by Nadav Kander. It is part of his award-winning series ‘Yangtze, The Long River’. Captured over several trips to China in 2006 and 2007, this body of work documents the people and landscapes along the banks of China’s largest and most significant river as he followed it upstream from the coast in the East to close to its source in Qinghai Province in the West. A stunning composition, this photograph represents the powerlessness of the common people against the authority of the state and its continuous drive for development often at any cost. In it we see several people, small in the frame, standing on a large rock slab by the edge of the water. In the background, huge cranes perch precariously on the unfinished arch of what I believe is the Chaotianmen Changjiang Bridge, dwarfed by its immense size. The river is so wide that the far bank has disappeared into the haze. The surface turbulence an indication of the sheer volume of water flowing by. Looking closer at the foreground a series of pools in the rock draw the eye to the group of men fishing on the bank. The arc of their traditional nets mimics the arc of the bridge. The image, tonally rather drab and desaturated and with such an imbalance of scale between the people and the rest of their environment has an almost oppressive feel and makes those in it appear inconsequential to the change that is going on around them. Looking closer at the foreground a series of pools in the rock draw the eye to the group of men fishing on the bank. The arc of their traditional nets mimics the arc of the bridge. Nets, the design of which has likely remained unchanged for generations, are juxtaposed against the new construction taking place in in the background. A woman stands alone staring off upstream. A mask covers her nose and mouth to protect her from the smog. In the distance, having left his clothes and shoes piled neatly on the shore a figure has waded out into the water with a small rod. For these people, the landscape that they view today is so immensely different to the one their great grandparents would have seen. Like previous generations, they still use this historic river to provide sustenance but now they face a potential risk to their health due to the heavy pollution present in the water. Nadav Kander is perhaps best known for his landscapes, portraits and nudes. He has taken portraits of many well-known people and celebrities possibly most notably his series ‘Obama’s People’ for the New York Times and his portrait of Donald Trump on the cover of Time for their ‘Person of the Year 2016’. He was born in Israel in 1961, and at an early age moved with his parents to Johannesburg, South Africa where he lived until his mid-twenties. It is also where he got his first camera and began to photograph. He left South Africa in 1985 for London where he still lives today. Do you have an image that you want to write about? We'd love to hear from you! Please get in touch to chat further!